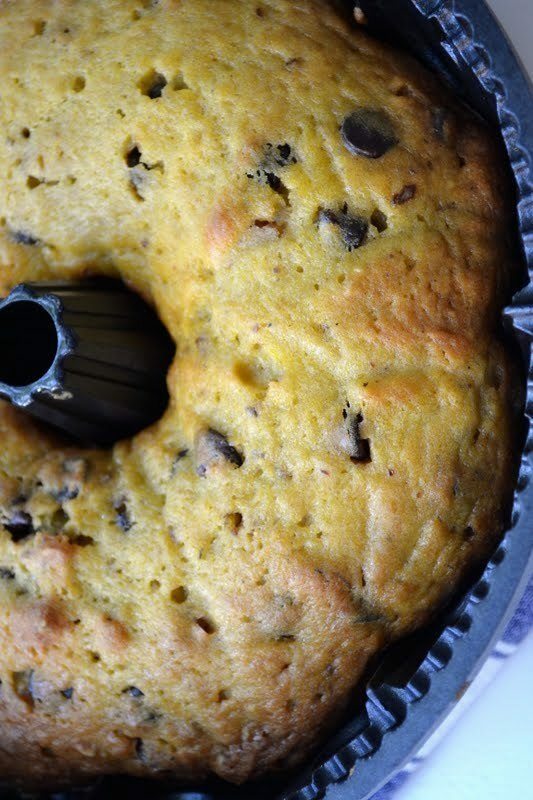 Chocolate Chip Pumpkin Bread is moist and tender with just the right amount of spice, and the chocolate chips are a fabulous bonus! Bake until a toothpick comes out without wet batter clinging to it, wet crumbs are fine, about 40-50 minutes. The range of baking time depends on your pan and your oven. Check early.